My husband loves cheesecake, and everyone here loves lemon! 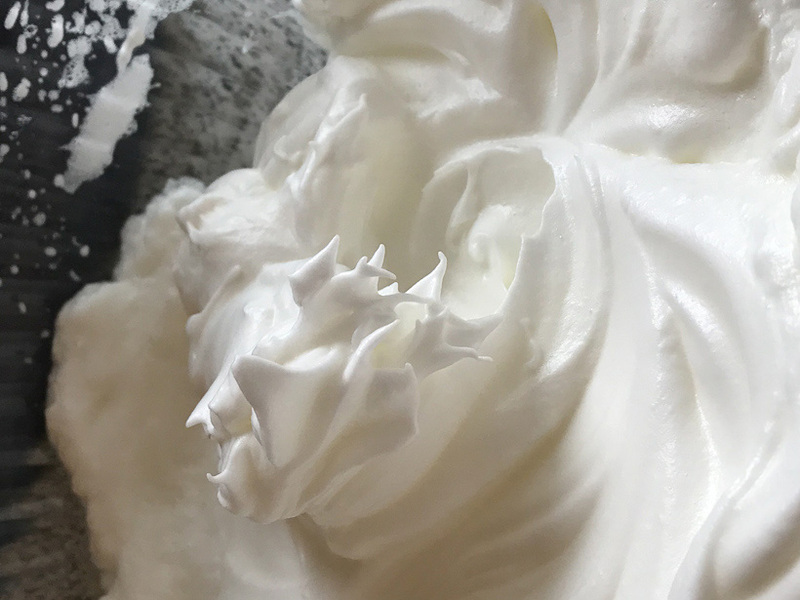 This cheesecake is a little different because you separate the egg whites and add them after whipping. 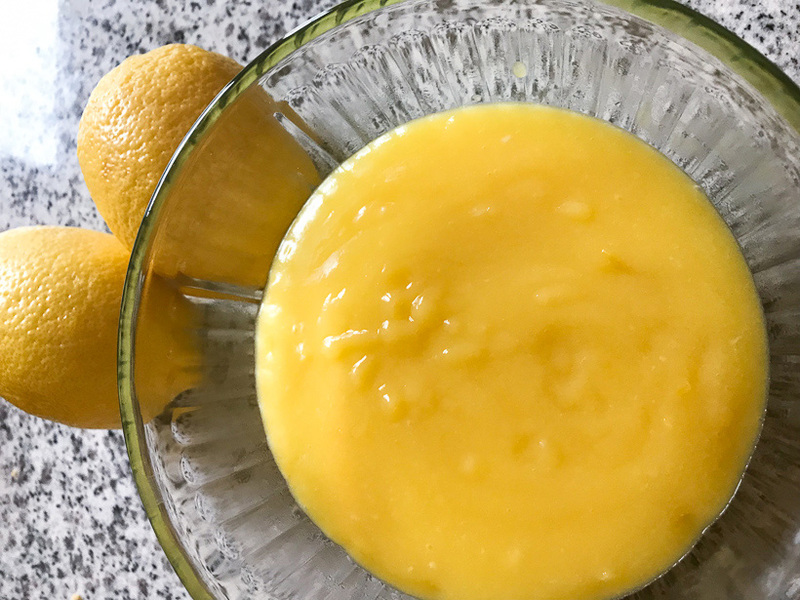 We top with lemon curd, which is optional but delicious! I also think the crust can be an exciting part of the cheesecake. Although, if the crust is soggy or without taste, the cheesecake is blah. This crust is made with cookies – lemon Oreo cookies to be exact! 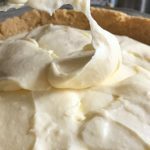 With the lemon curd, and lemon crust, this creamy cheesecake was a hit. 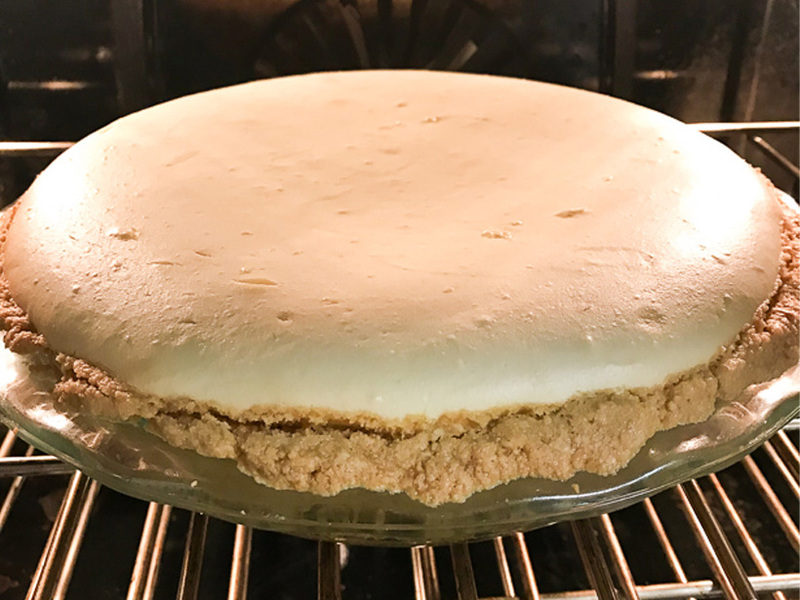 Here’s our version of perfect cheesecake with lemon cookie crust. 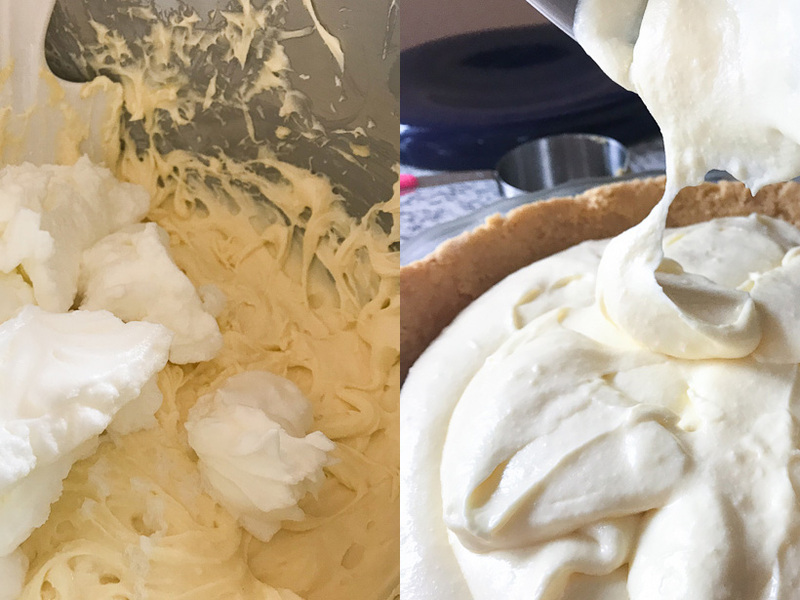 You will need to chill the cheesecake for several hours, so I suggest making the cookie crust and lemon curd the day before to save time! 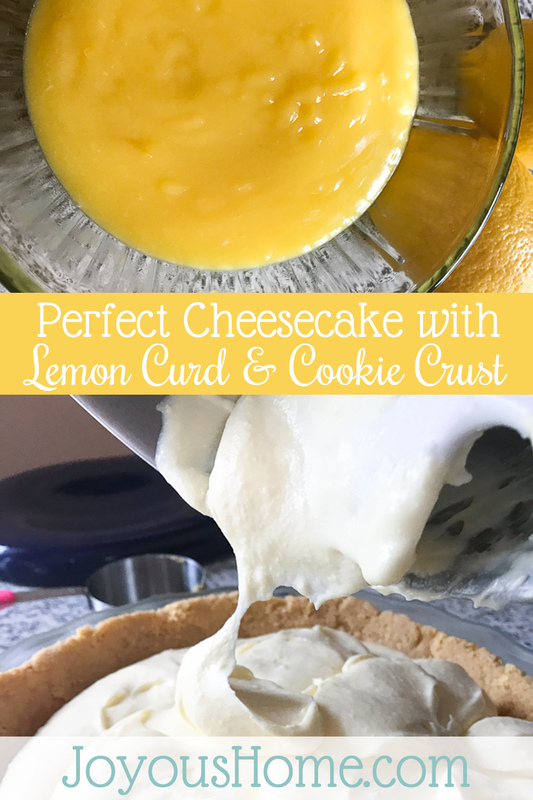 The first thing I would tackle for the cheesecake is the lemon cookie crust. 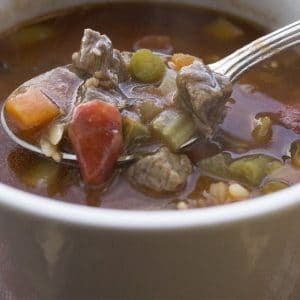 You need to have it something to pour your mix into. 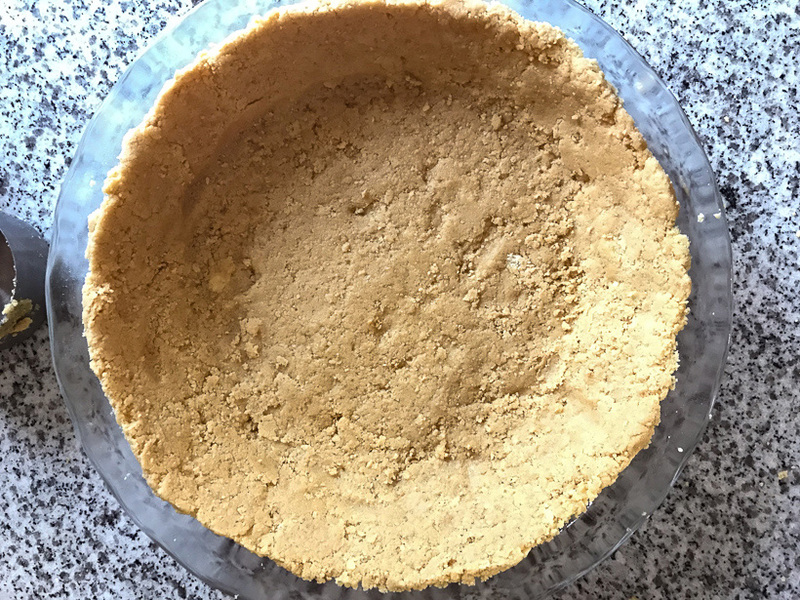 Making this crust is FAR superior to buying a graham cracker crust, in fact, using cookies is more tasty than using graham crackers for any crust. 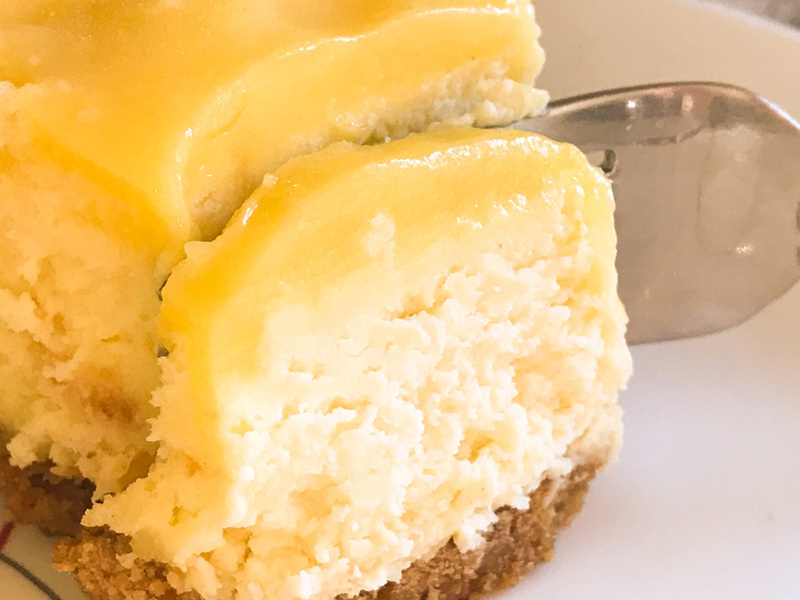 Lemon cookies were perfect for this cheesecake – and no need to scrape out the filling! While I wasn’t sure about the lemon flavored Oreos, and don’t personally care for them as a cookie – they made a tasty crust! 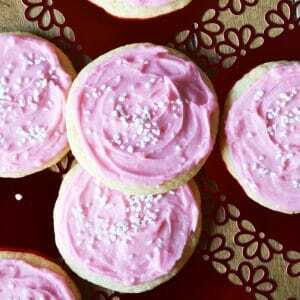 I found some interesting flavor ranks about Oreos – if you ever have time to be curious! 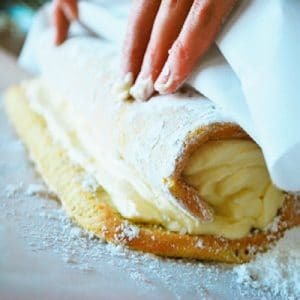 Make the lemon filling! This is one of our favorite lemon recipes. 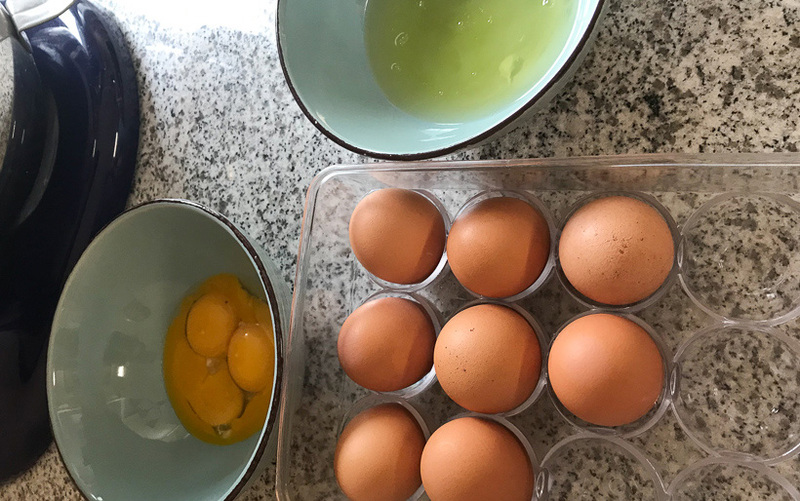 It can be tricky if you hard boil it because the eggs will get scrambled looking. 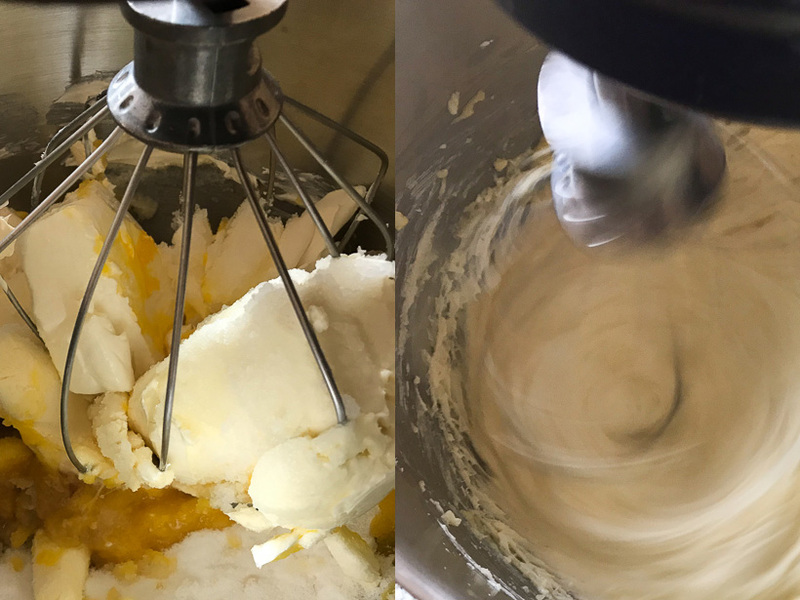 This lemon curd is the base for the filling in our Lemon Roulade Jelly Roll. 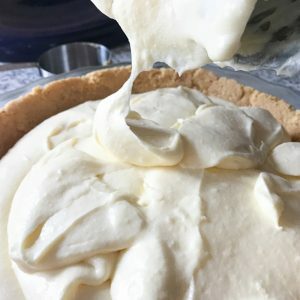 Make the cheesecake filling. I think it’s perfect. See notes about overbaking! 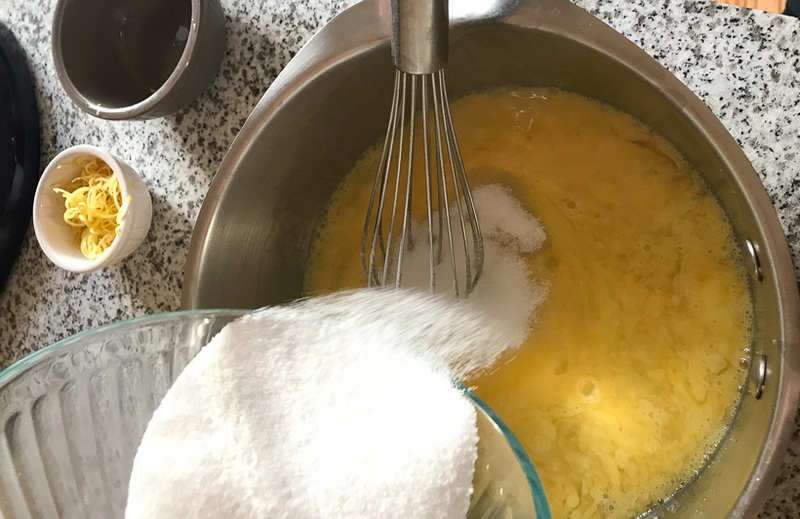 separate eggs for lighter cheesecake! Beaten up light and fluffy!